On May 3rd, 1990, 14,838 votes were cast in Greenwich for a party with no political ideology, no personal ambition and very little substance. The 60 local election candidates and army of supporting activists that made up the Valley Party were a motley crew, with limited campaigning experience and relatively modest funding. They received scant support or even comprehension from the club. What they did have was a deep sense of injustice at the Labour-run council’s recent decision to reject planning permission for The Valley to be rebuilt, while the club struggled to survive in the top flight at Crystal Palace’s Selhurst Park. They also had key allies, such as Peter Cordwell, sports editor at the Mercury, and fan Richard Hunt, at advertising agency BMP DDB Needham. The latter provided an award-winning poster campaign across the borough. The former gave me a platform for a weekly commentary on events, penetrating well beyond the ranks of local Addicks. In those pre-internet days, the Valley Party’s ability to get its message out was crucial. 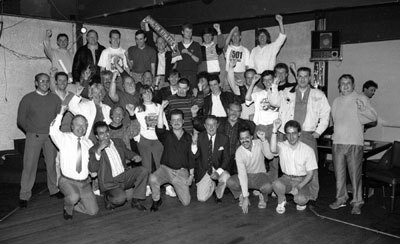 Early party meetings, held at the Meridian Sports and Social Club, were at times chaotic. But eventually candidates were chosen and in some cases, like Steve and Wendy Perfect, press-ganged into standing. 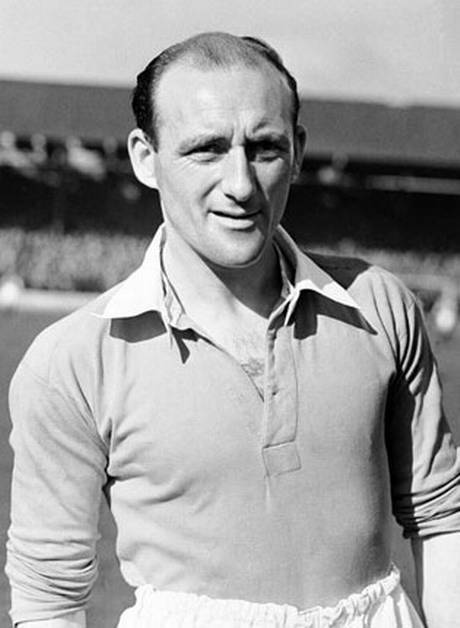 Legendary 1940s forward Sailor Brown was recruited for the media launch and duly posed, leaning on a spade in the middle of the Valley pitch. An open-topped bus toured the borough bedecked in Vote Valley banners, a robin canvassed shoppers in Woolwich and the Addicks turned activists set off on the mammoth task of distributing three different election leaflets to every address. Conservative councillors had voted against the Valley plans as well, but because Greenwich was predominantly Labour it was the red team we usually had in our electoral sights. For some of us that was a deep conflict of loyalty. To complicate matters further, Greenwich was also a political outpost of the dwindling Social Democratic Party, including local MP Rosie Barnes. The consequence was a muddled electoral landscape, with the Sherard Ward in Eltham amazingly contested as a straight fight between Labour and Valley. That ward became an election-day battlefield, with rival loudspeaker cars pursuing hapless locals around the streets like a scene in an Ealing comedy. There were 992 Valley votes for the late Kevin Fox against council leader Quentin Marsh. But still Fox lost. So too did Simon Oelman, chair of the council’s planning committee, in Eynsham ward. He was beaten by the SDP as the Valley Party’s Barry Nugent sliced into his support. And there was another Labour casualty in two-seat Well Hall, beaten by 35 Tory votes, as my old Voice of The Valley sparring partner Steve Dixon clocked up 372. The winning Labour candidate here was one Clive Efford, MP for Eltham since 1997. 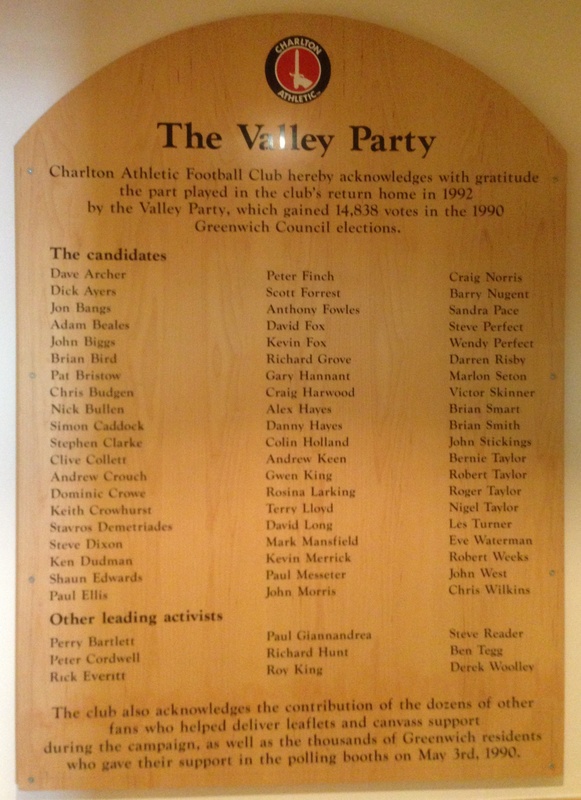 The Valley Party took 10.9 per cent of the votes, a share most minor parties would envy, despite three-quarters of Charlton supporters living elsewhere. It won no seats, but it certainly won the argument. Without it, I do not believe the club would have thrived again. And make no mistake, it gave some of us the time of our lives.